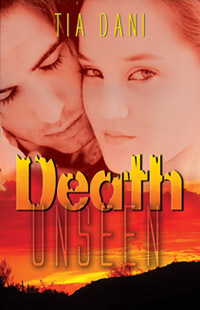 Navajo Tribal Policeman Lance Logan discovers his cousin’s body brutally mauled and senses there’s more to the death than it appears. His intuition leads him from Four Corners, New Mexico, to Phoenix, Arizona, where he finds himself embroiled in another murder case. Carly Carlton could be considered an ordinary woman except for two traits she tries to keep hidden—clairvoyant powers and the ability to experience death in dreams. Her talent to see beyond the veil of reality, as she and Lance try to find a killer, helps to soothe his embittered heart and softens his revenge. Unbeknownst to either, Lance carries the DNA key coveted by a maniac intent on creating a human with animalistic killing tendencies. But the madman’s plan doesn’t include Carly’s expanding talents or her unconditional love for Lance. She will do anything to save him…even if it means sacrificing her own life.